Oh LG, did you really think you could slip an entire tablet past the eagle-eyed gadget obsessives of Korea? The G-Slate has been one of the more mysterious devices launched at CES this year, but it now appears to have shaken off some of its shyness and made a cameo appearance on K-Pop star Seungri's latest music vid. Our Korean correspondents inform us that Seungri's band Big Bang has had a relationship with LG since the introduction of the cheap and cheerful Lollipop handset (video evidence after the break), so it's not unreasonable to believe this young chap has an inside line on LG's upcoming hardware. 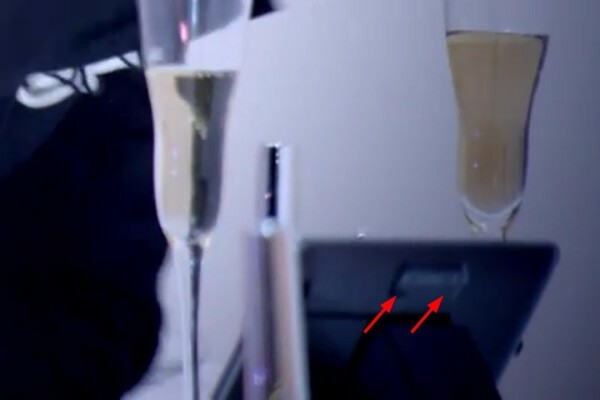 His video shows an LG-branded slate at 0.53 and 1.52, and although we get only brief glimpses, one of them suggests a dual-camera array on the back, which seemingly corroborates earlier rumors of the G-Slate bringing some 3D voodoo to the market. Skip the break and see for yourself.